As technology has continuously evolved, AI is becoming a unique addition to many industries. With the consistent need for customer service within the travel industry, can AI take over the dilemmas and needs of millions of travelers? In some cases, it already has. As in many industries, AI chatbots are entering travel via customer service channels. While AI can’t handle every customer question, it often frees up travel agents to spend more time on more complicated problems. Travel agents use a Global Distribution System (GDS), a network that enables people to access travel information, compare options, and book. There are multiple GDS systems and online courses to teach people interested in managing travel. 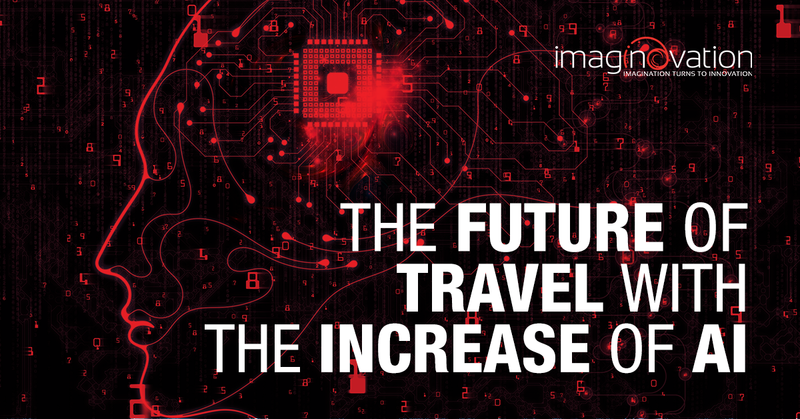 However, if AI can handle the basic GDS skills that once required the time of travel agents, agents could devote their energy to ensuring that customers are investing their time and money into a trip they genuinely want to experience. Many people are already familiar with booking flights and hotels online; adding AI to assist is a natural next step. Travel site Skyscanner has coordinated to offer travel booking via Amazon’s Alexa and Facebook messenger. According to Booking.com, their AI-powered chatbot can respond to 30 percent of customers’ stay-related questions automatically in less than five minutes. More of these bots are coming online all the time. Furthermore, navigating search engines in today’s ad-centered market can result in a plethora of unrelated content rather than the specific flight or hotel booking information a traveler may be looking seeking. Booking through a chatbot means avoiding all those ads. And if you’re familiar with Netflix recommendations, you might guess this is coming for travel, too. One of AI’s most useful aspects, thus far, is its ability to analyze massive amounts of data. This feature is used in industries from marketing to medicine, but has value in travel as well. One travel agency, called Well Traveled, has developed software that provides travel agents with helpful information on a client’s travel preferences before their initial communication. The program gathers this information by tracking a person’s web page visits and categorizing those sites. An agent with that data might gain insights about the traveler’s needs. For example, if someone is seeking a high-end experience, he or she is probably searching different websites than someone taking a family vacation. Someone with limited physical mobility will also search differently when seeking out travel experiences. Airlines and hotels are using this analytical power to manage dynamic pricing. Hotel room rates change based on weather, events, and how many rooms are available. Starwood Hotels implemented an AI-powered service to manage their pricing changes with profitable results. Analyzing data is also useful when trying to find a seat on a crowded train. Trainline, a UK rail booking service, has a bot that tells passengers where they can find a seat, using data about their location and other bookings. Facial recognition may soon play a role in airport security, making passports a thing of the past. Instead of handing over documents, you could check in with a face scan. Travel plans are often susceptible to impact from elements out of the control of travel and booking agencies — and all of us — yet these people often face the wrath of an angry traveler. Glenn Fogel, CEO of Priceline Group, believes that AI is the future of crisis management in these instances. For example, someone may be en route to the airport before hearing their flight has been delayed or canceled. He or she must then change all plans, find a new flight, reschedule car service, and move any reservations. Actual robots are starting to appear in hotels and airports, offering concierge-type information. The Hilton, for example, will give you a number for Connie, its robot, so that you can text your questions. Connie serves up suggestions based on your known preferences. Executives at Booking.com found that 80 percent of customers prefer self-service, so it’s safe to say we’ll see more AI interactions in travel. But not all travelers are not impressed. Many customers complain that the technology is not capable of understanding their requests as well as an agent or customer service representative. There have been instances of bots struggling to discern between popular travel locations in different parts of the world with entirely different climates. For now, most chatbots are monitored by agents to ensure that the shift to AI goes smoothly. According to a survey, 11 percent of millennials prefer the assistance of AI compared to the 4 percent of people age 35 and older. So while human customer service is still the overriding preference for some, AI has a definite place in the future of the travel industry. Talk to us about AI solutions for your business.